The Food and Drug administration (FDA) has raised concern over gastric bleeding, stomach ulcers, kidney damage and myocardial infarction caused by the usage of non-steroidal anti-inflammatory drugs (NSAIDs) or analgesics used for treating arthritic joint pain. 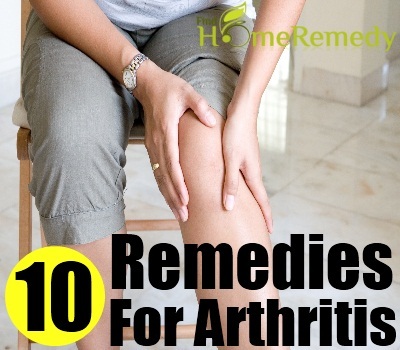 This has led to the usage of home remedies by a significantly large proportion of arthritic patients, for the treatment of this excruciatingly painful condition. Listed below are a few natural remedies, which have been shown to significantly reduce the inflammatory joint pains, associated with arthritis. A range of stretching, motion and resistant exercises aid in strengthening and keeping the muscles flexible and limber, thereby making the movement of arthritic joints easier. 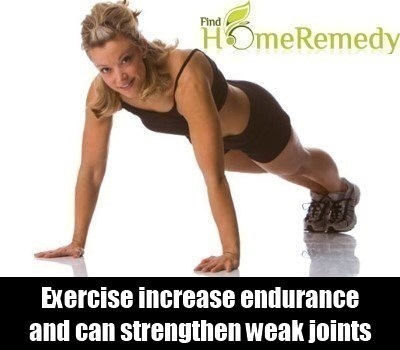 Walking for about 30 minutes a day using a cane, aerobic exercises, swimming, jogging etc., increase endurance and can strengthen weak joints, thus mitigating the joint pains associated with arthritis. However, if strenuous exercise or certain exercises increase your pain, then seek help from your doctor and tailor your exercise regimen according to what brings you maximum comfort and relief. Flaxseed oil is known to relief chronic pain associated with arthritis, through the presence of anti-inflammatory agents like alpha-linolenic acid (ALA), a compound related to omega-3 fatty acids and powerful antioxidants called lignans that flush out free radicals responsible for causing inflammation in the joints. It is not suitable for cooking, frying or baking, since heat can distort the molecular structure of flaxseed oil, rendering it less effective in treating arthritis. 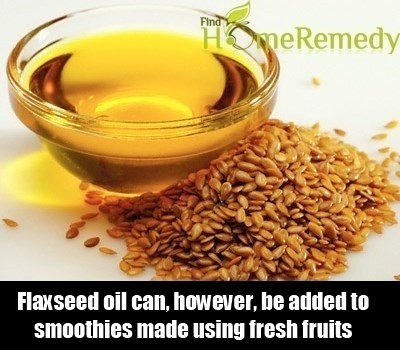 One to two tablespoons of flaxseed oil can, however, be added to smoothies made using fresh fruits or as toppings on breakfast cereals, salad dressings, oatmeal, pancakes, etc. Patients with bleeding disorders or those who are taking anticoagulants should use very little amounts of flaxseed oil, since the omega-3 fatty acids that it contains can enhance the thinning of the blood thus, leading to excessive bleeding. 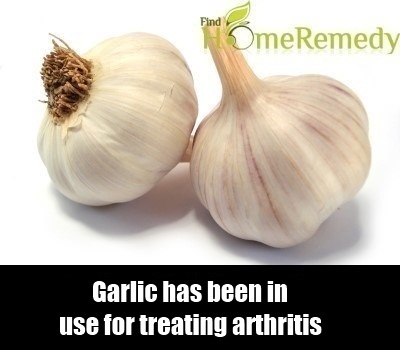 Besides being used as a flavoring agent in food, garlic has been in use for treating arthritis, since time immemorial for its anti-inflammatory and antioxidant properties. Rich in selenium, it serves as a precursor for selenoproteins, which are potent antioxidant enzymes and its sulphur content reduces the inflammation of joints. It is particularly beneficial to treat osteoarthritis, since sulphur also serves as a raw material for the production of collagen required for the repair of cartilage, a tissue which protects the joints from excessive damage. Numerous observational and epidemiological evidences have confirmed the efficacy and safety of using boron for alleviating arthritic pain and inflammation. Boron is an essential element required by the body for the synthesis of estrogen and vitamin D, which are crucial for the absorption of calcium, magnesium and phosphorous that prevents the weakening of bones associated with arthritis. Its anti-inflammatory action and its role in the synthesis of ATP, needed for cartilage and bone repair, makes it an effective way of treating arthritis. 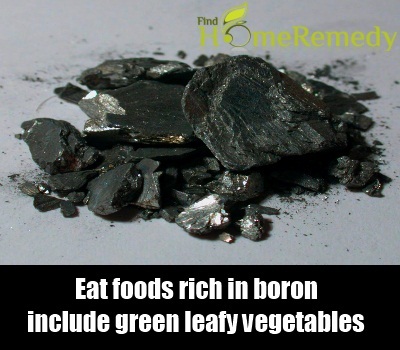 Foods rich in boron include green leafy vegetables, avocado, fruits like apples, pears, grapes, nuts like almonds, peanuts, hazelnuts, cereals, honey, raisins, etc. Laden with essential nutrients like vitamin B, vitamin C, calcium, magnesium, iron, etc., tart, sour and black cherries have been considered as super fruits for the treatment of joint pains associated with arthritis. Concentrated cherry juice is rich in powerful anti-inflammatory agents and antioxidants, namely anthocyanins that block pain signals from the brain and inhibit the synthesis of prostaglandins that cause inflammation of arthritic joints. 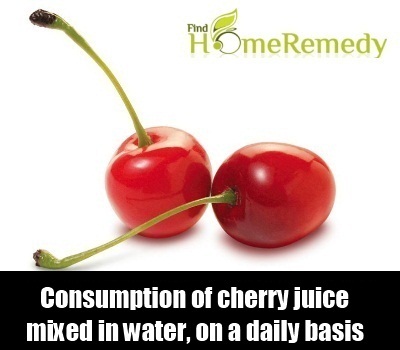 Consumption of two tablespoons of cherry juice mixed in water, on a daily basis have also been found effective in treating gout. The presence of anti-oxidants not only helps in preventing the accumulation of uric acid in the joints but also aids in the repair of damaged collagen and cartilage in the joints. Known for its various medicinal properties, cinnamon extracts possess anti-inflammatory and the second highest anti-oxidant properties that aid in relieving the symptoms of arthritis. It also prevents deformity of bones by blocking the abnormal loss and damage of bones, surrounding arthritic joints. 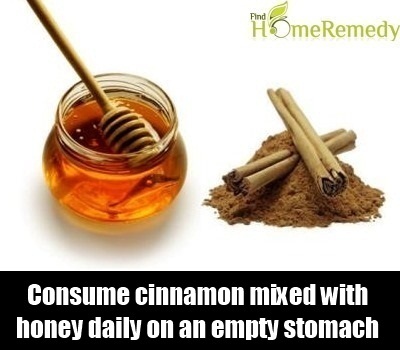 One can either sprinkle it on food in its powdered form or can consume half a teaspoon of cinnamon mixed with one teaspoon of honey daily on an empty stomach to enhance its anti-inflammatory action by the use of honey. This remedy has been found to be most effective in treating arthritic joint pains and hence, it has been promoted both by ayurvedic medicine and complementary medical practitioners. The application of either heat or ice to the affected area depends on the type of arthritis, a patient is suffering from. Heat dilates blood vessels, thereby stimulating blood circulation and reducing muscle spasms and stiffness in the joints of patients suffering from osteoarthritis. 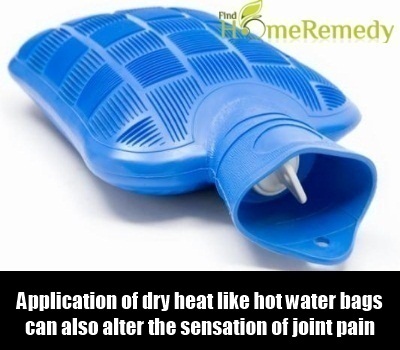 Application of dry heat like hot water bags, heating pads and moist heat like steam or warm baths can also alter the sensation of joint pain. On the other hand, ice causes the constriction of blood vessels and hence, can be used to treat swelling and inflammation that results from an injury accompanied by the leakage of blood from ruptured capillaries. This makes ice suitable for the treatment of rheumatoid arthritis, which is accompanied by inflammation, soreness, pain, burning sensation and swelling in the joint lining. Curcumin, an active ingredient of turmeric alleviates the symptoms of arthritis by inhibiting COX enzymes that are responsible for the synthesis of prostaglandins, which are the initiators of inflammation in arthritic joints. Its anti-oxidant properties aid in scavenging free radicals, preventing them from accumulating in the joints thereby, reducing the symptoms associated with arthritis. 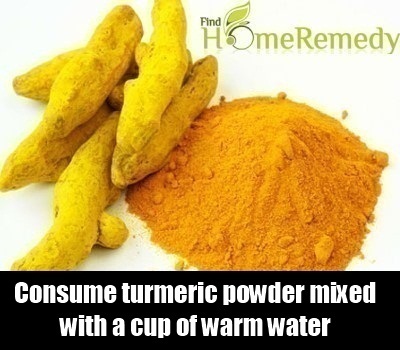 Consumption of half spoon of turmeric powder mixed with a cup of warm water has been found to be very effective in the treatment of arthritis. Pectin, an enzyme used as a thickening agent for making jellies and jams has been shown to reduce the buildup of fluids in the joints, thus reducing inflammation associated with arthritis. Together with grape juice, which is loaded with anti-oxidants, this remedy has been found to reduce swelling, stiffness and relieve joint pains. 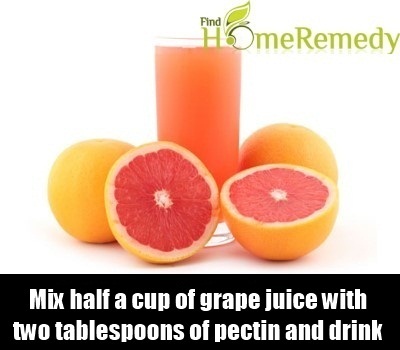 If you are suffering from severe arthritis, mix half a cup of grape juice with two tablespoons of pectin and drink this 2-3 times daily for six weeks. As the symptoms disappear, reduce its intake to once a day. Recent studies have indicated that regular intake of avocados, have been shown to reduce the severity of cartilage damage, thereby leading to a decline in the incidence of osteoarthritis. It is also rich in glutathione, a powerful anti-oxidant required by the liver to eliminate inflammation causing toxins in joints. 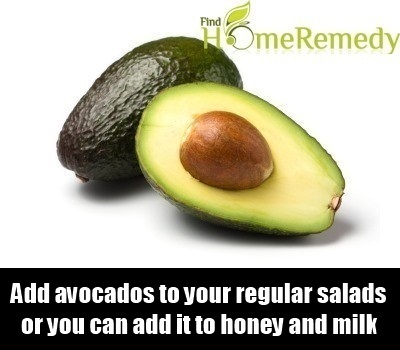 They can be sliced and added to your regular salads or you can add it to honey and milk to make a delicious dessert drink. Even though, the role of all the above mentioned remedies in treating arthritis have been well established by scientific studies, you should always inform your doctor before trying them, to avoid them from interacting with any medications prescribed for your treatment.